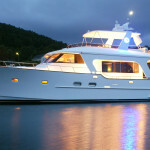 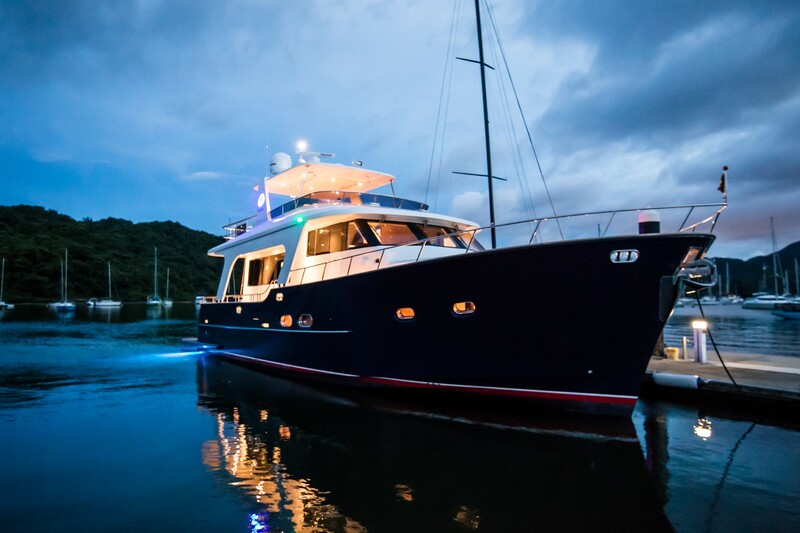 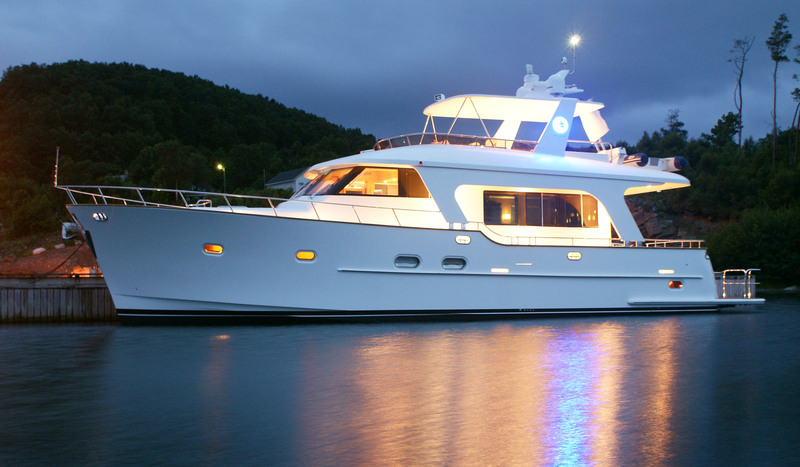 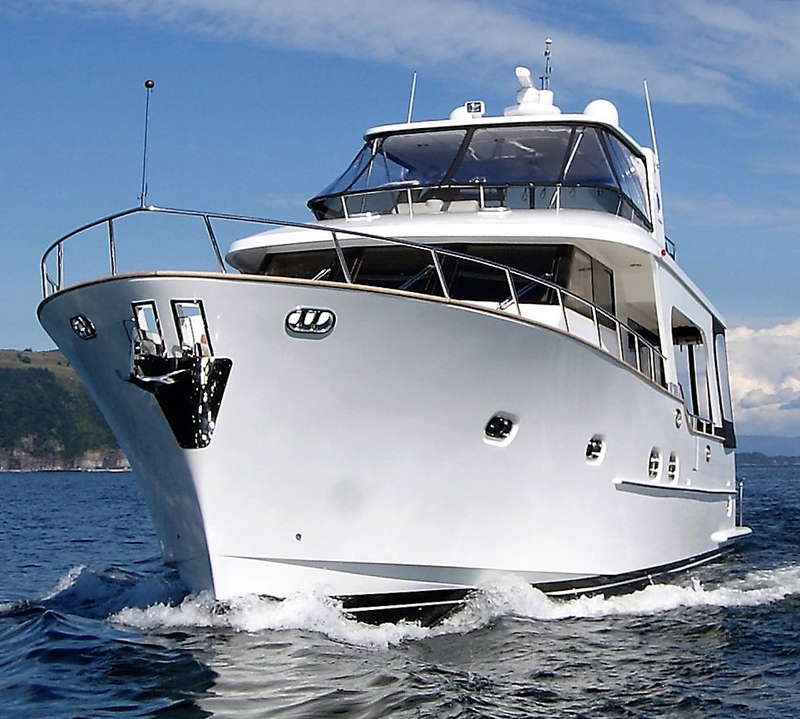 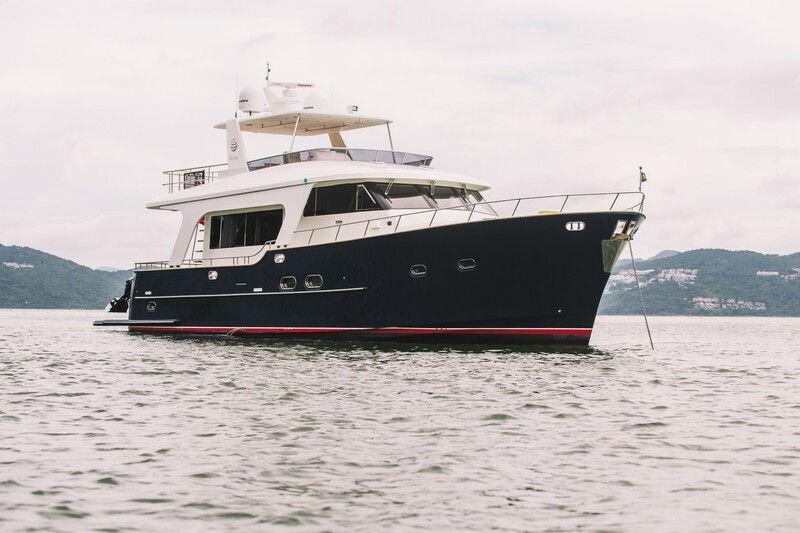 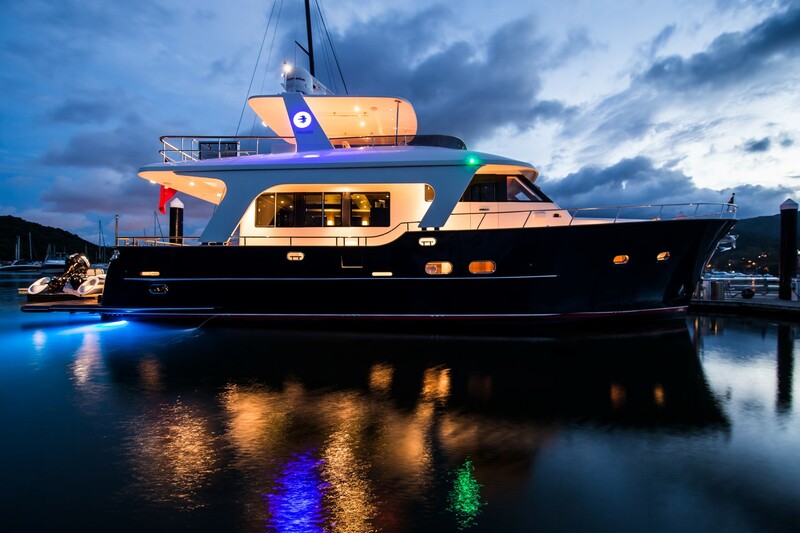 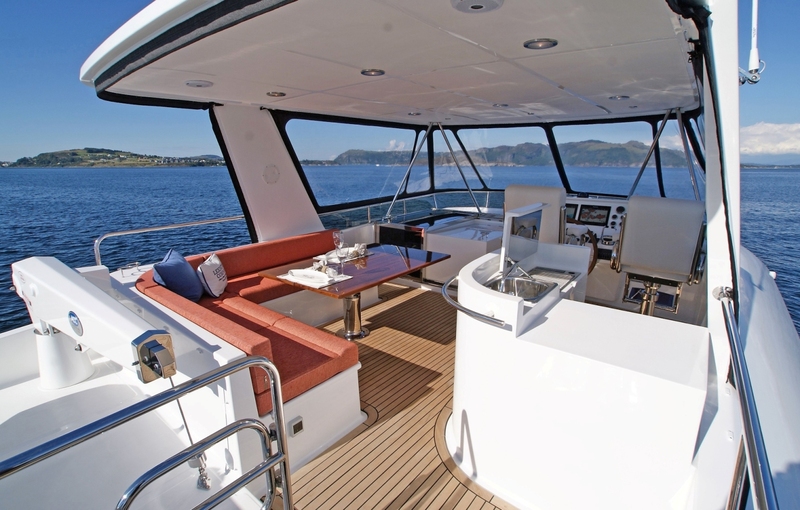 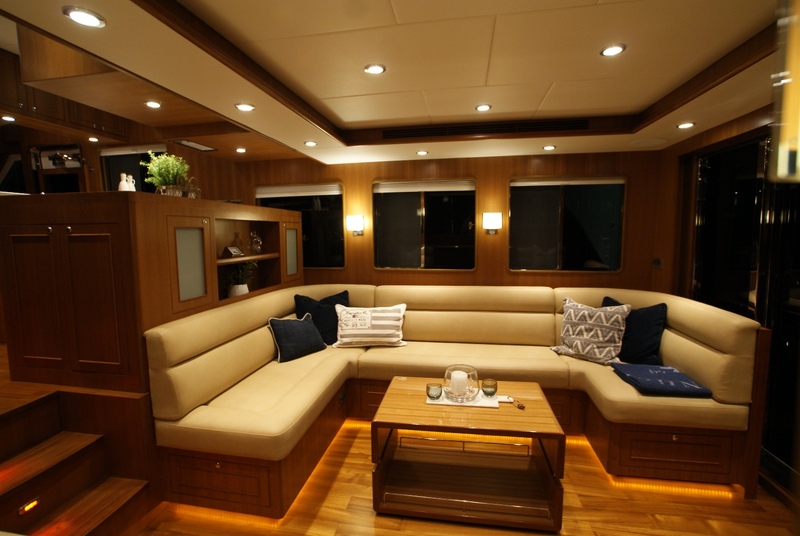 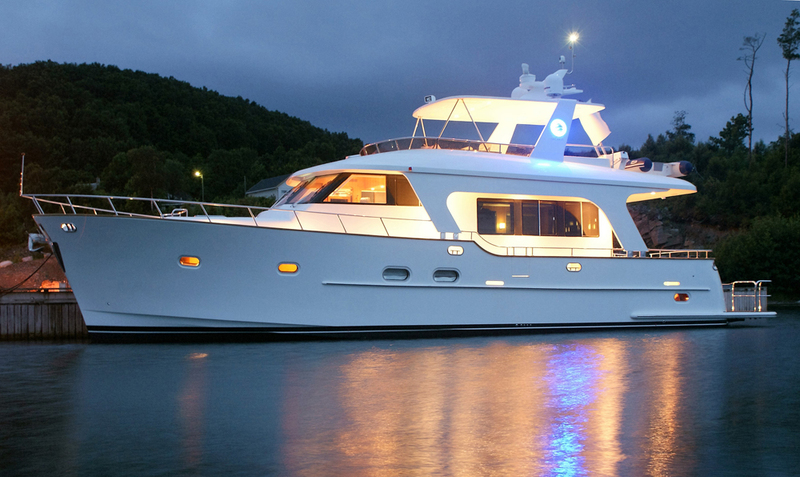 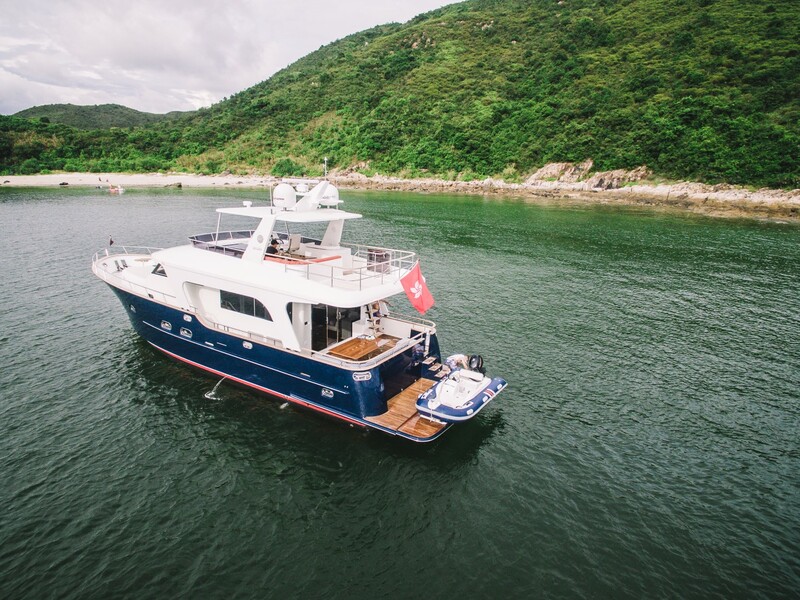 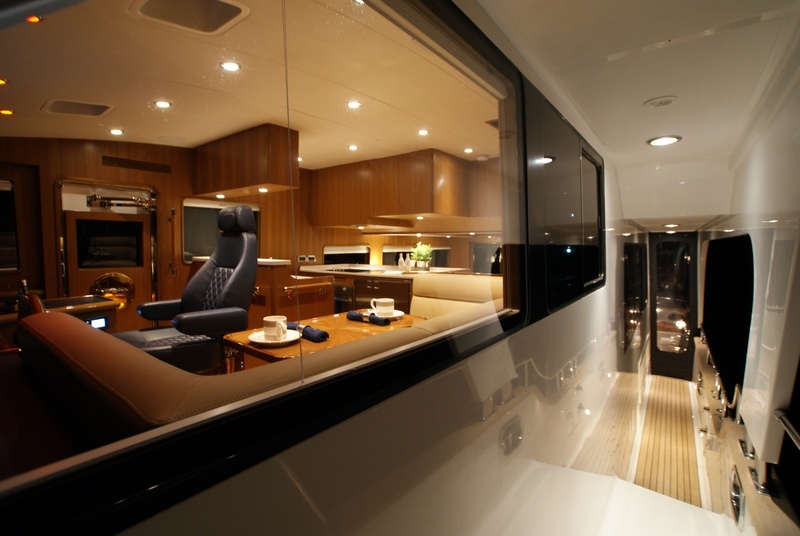 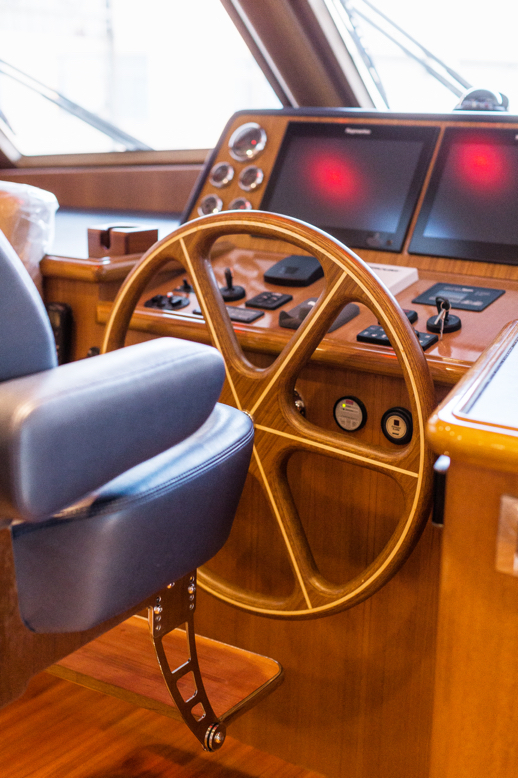 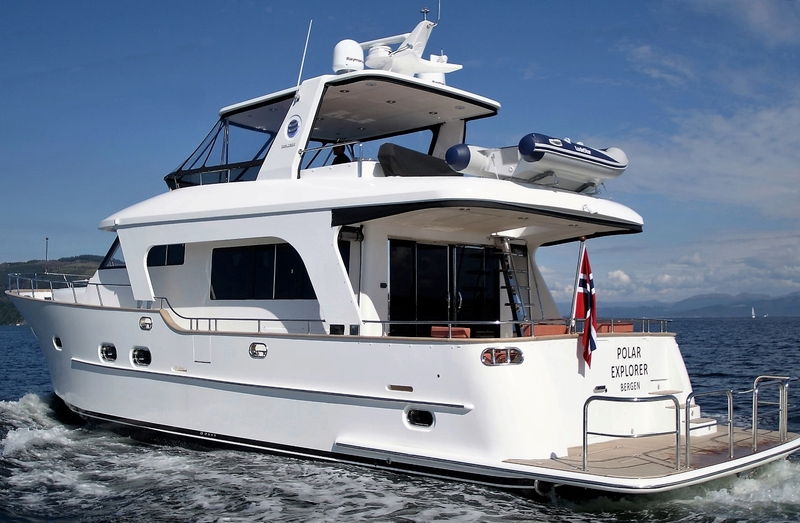 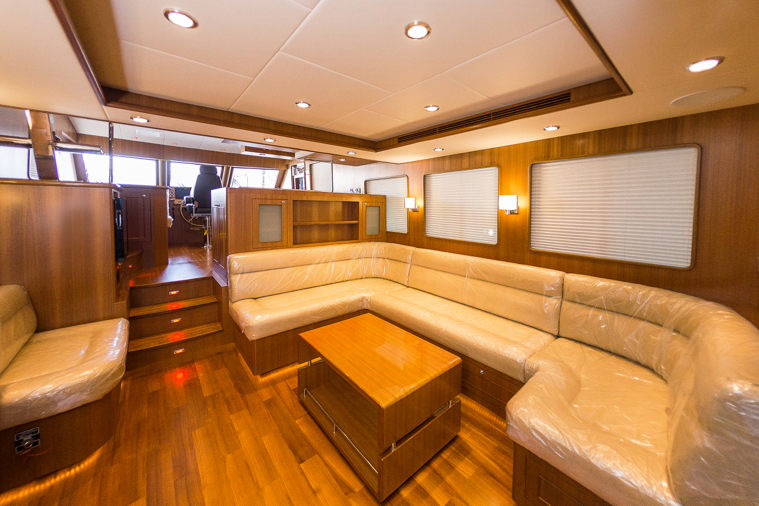 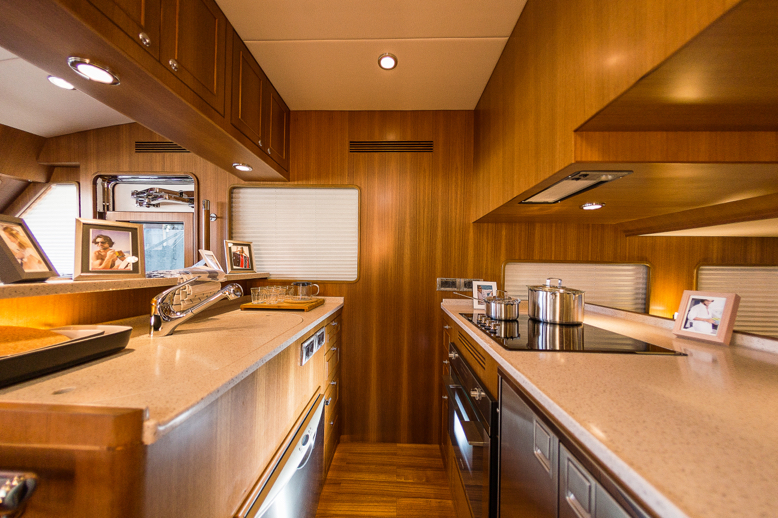 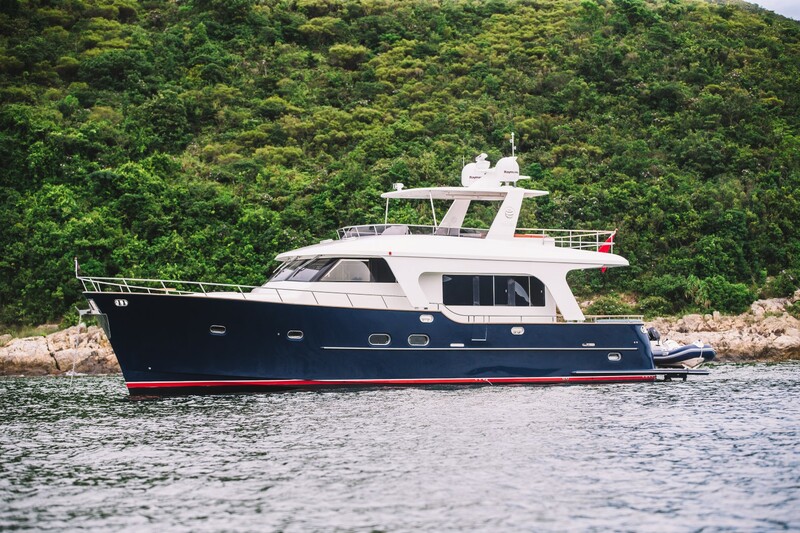 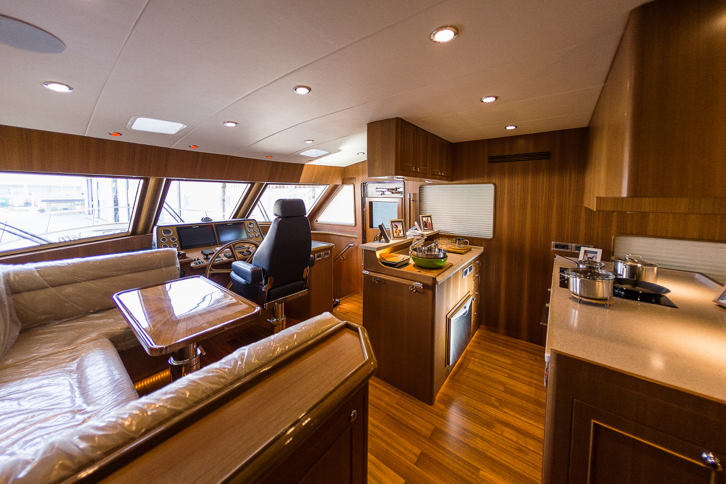 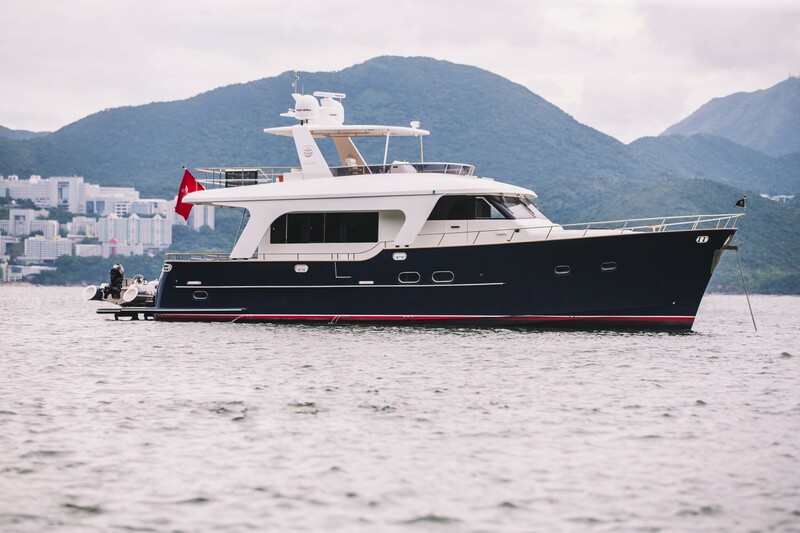 The immaculately crafted Explorer 58 Pilot House offers a perfect stage for entertaining. 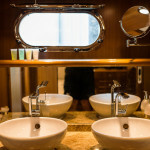 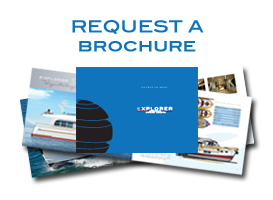 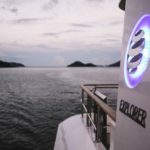 Reflecting the quality design and equipment of the slightly larger Explorer 60. 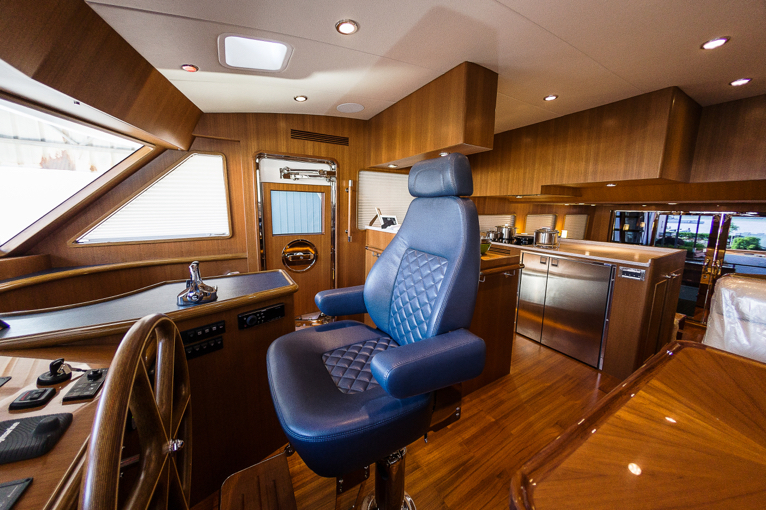 Step into a world where high performance meets impeccable luxury and plenty of room to entertain. 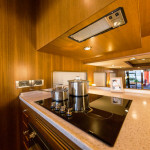 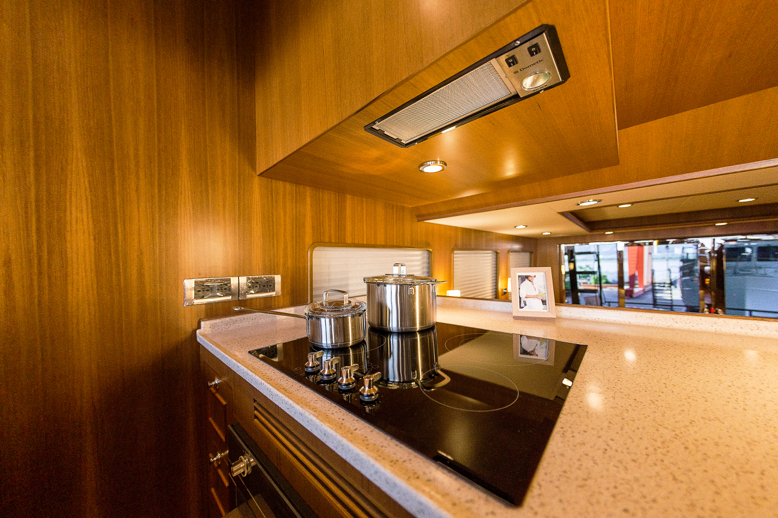 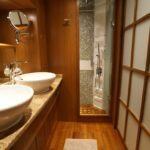 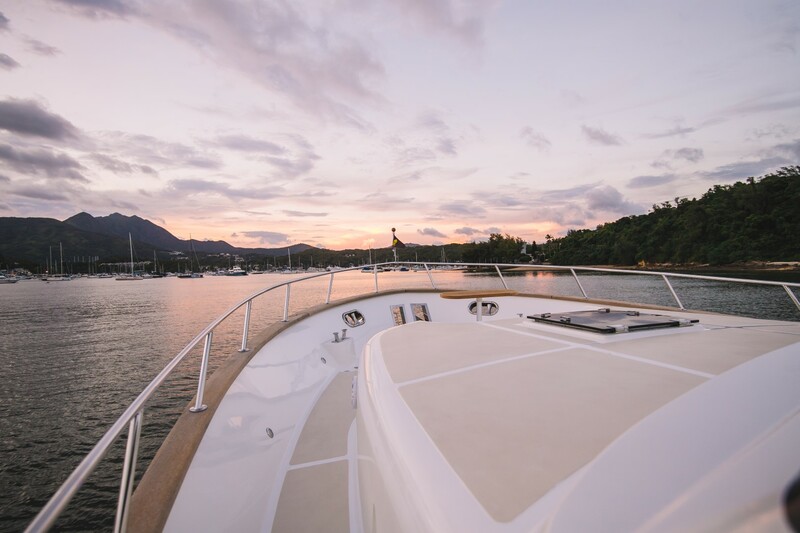 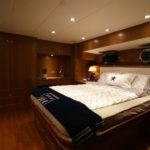 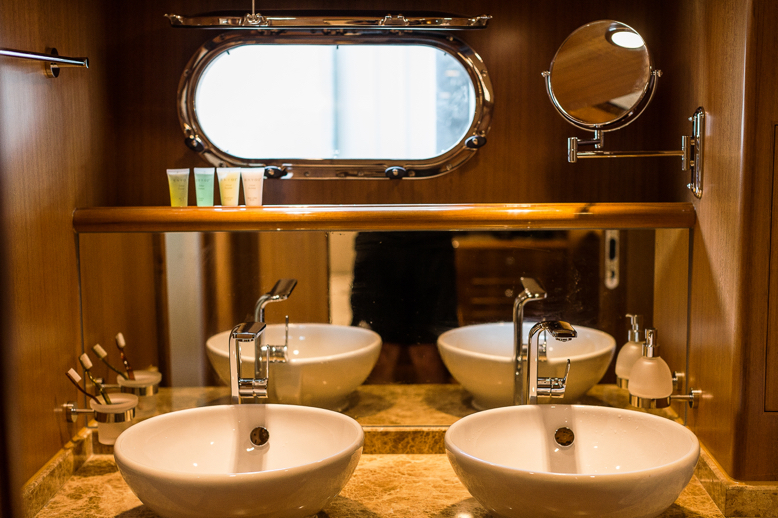 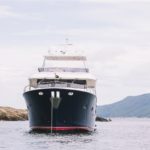 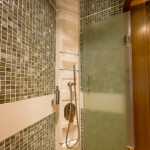 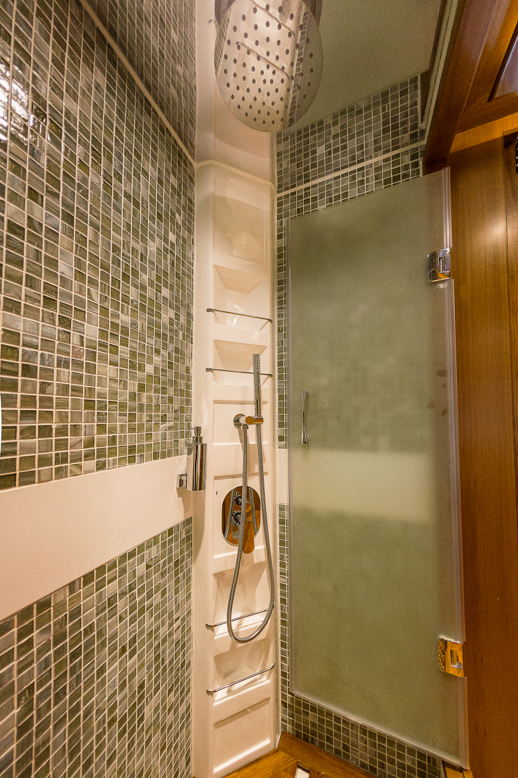 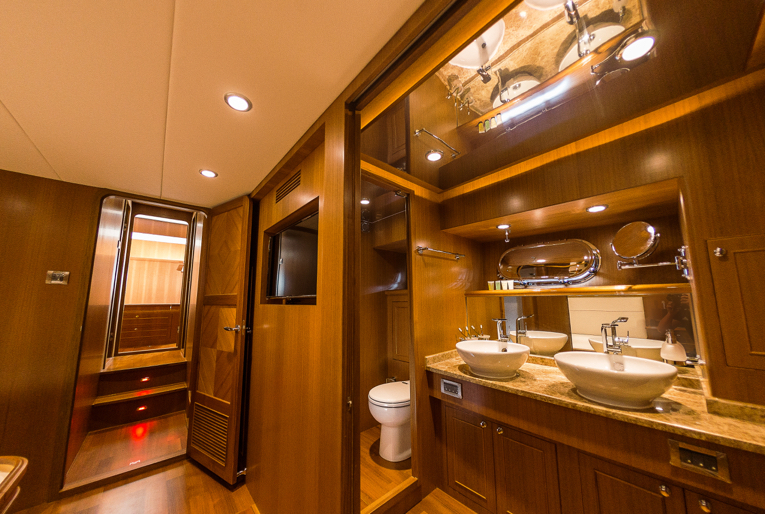 There is living space to satisfy your every need; an expansive galley and a handsome dinette at the pilot house level and a large, luxurious saloon that affords clear views from the helm to aft deck. 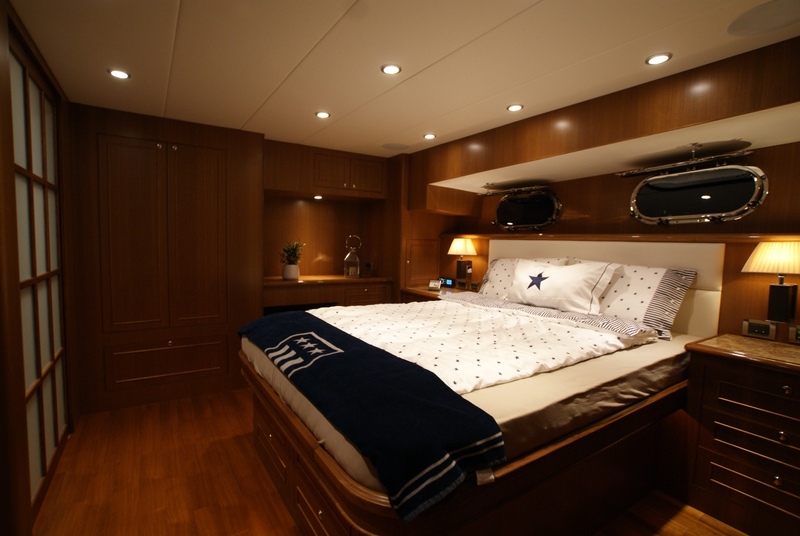 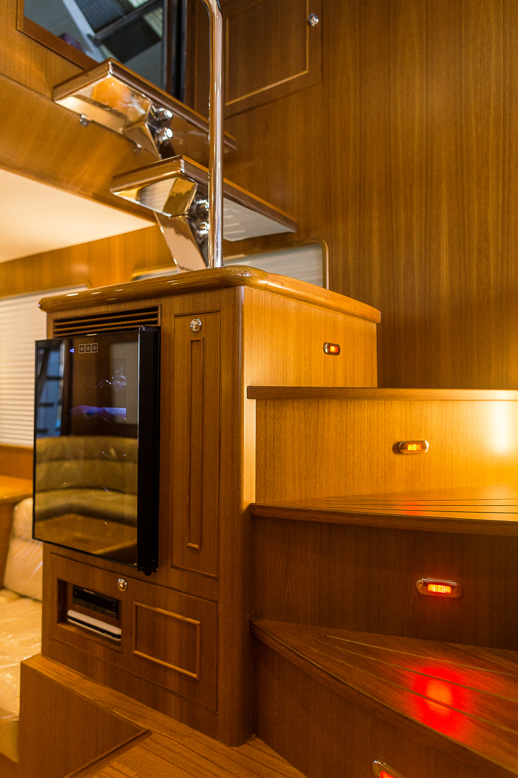 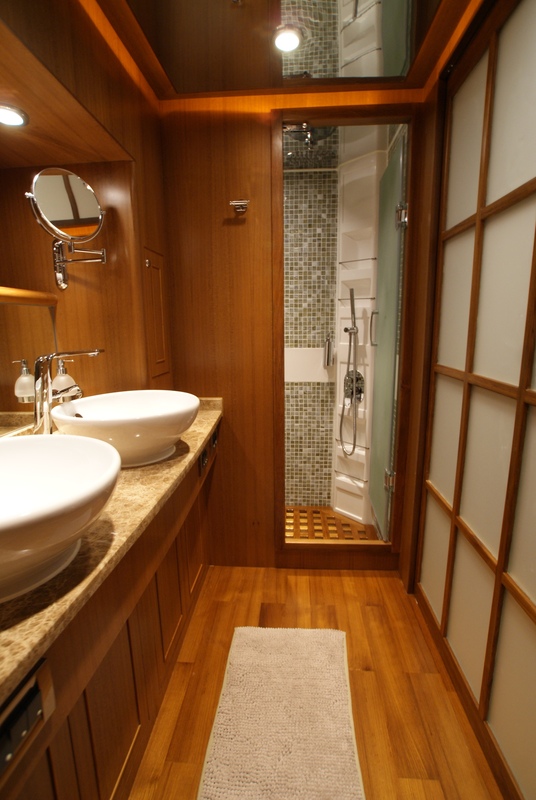 Three comfortable cabins include a full-beam master suite. 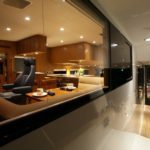 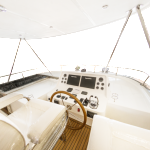 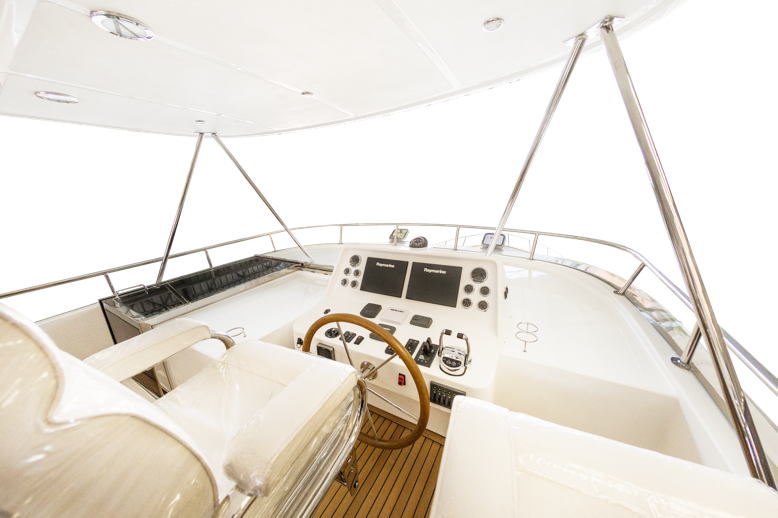 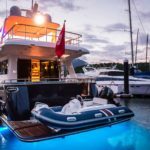 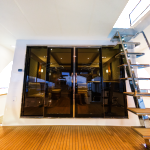 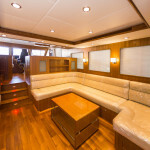 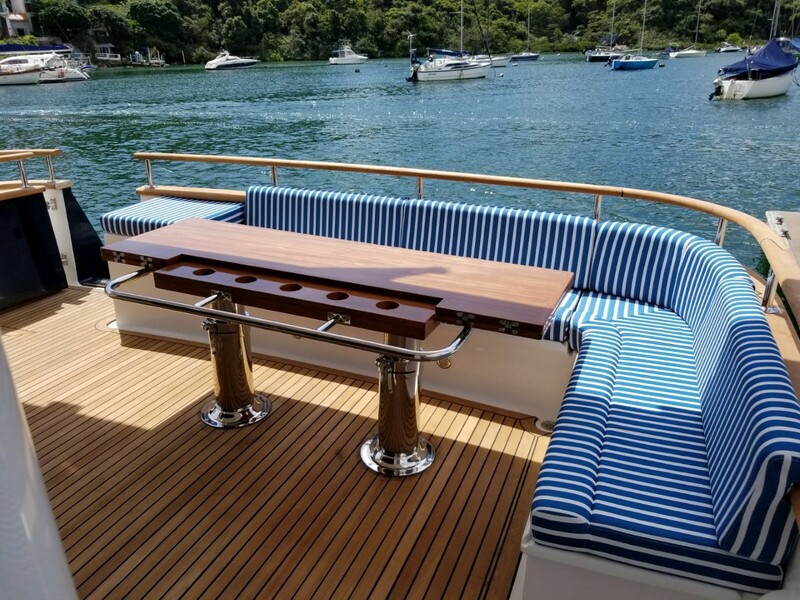 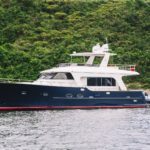 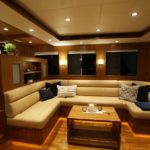 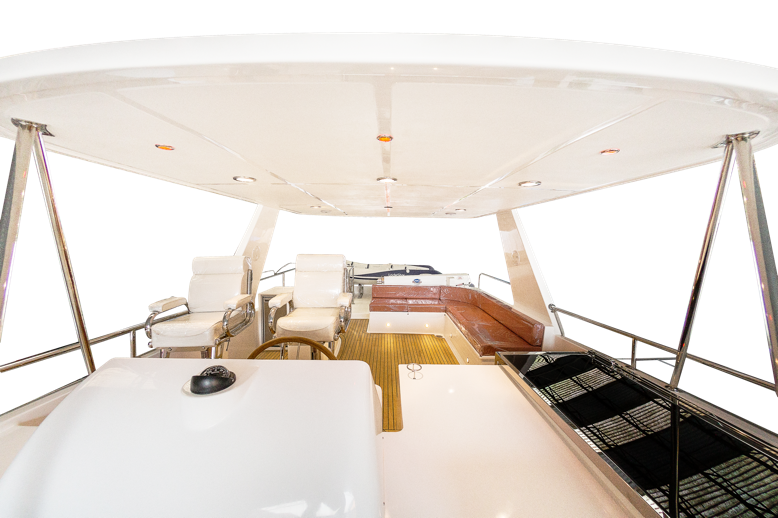 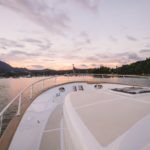 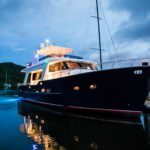 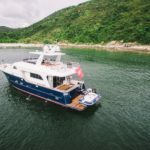 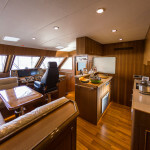 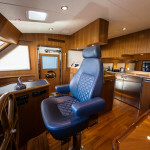 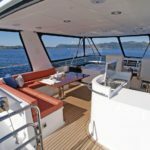 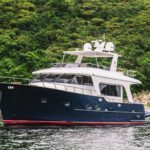 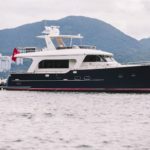 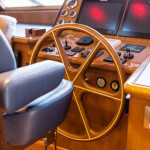 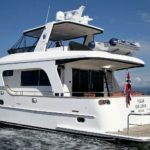 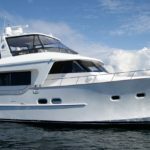 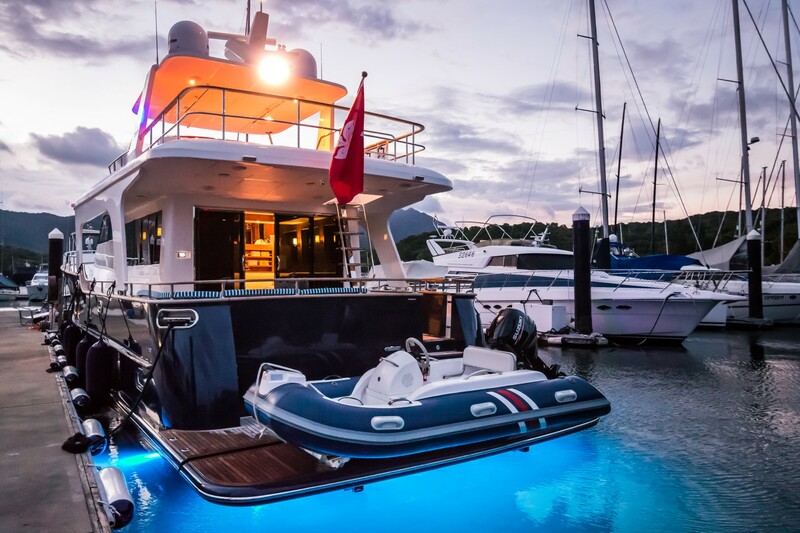 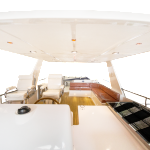 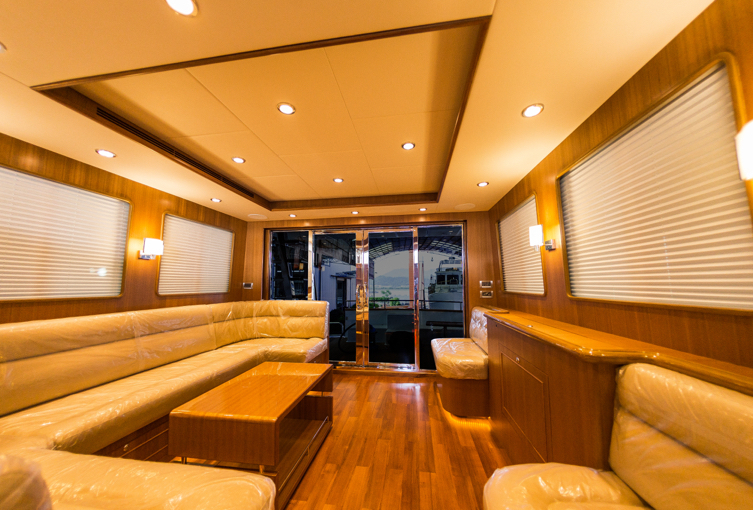 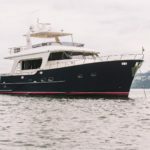 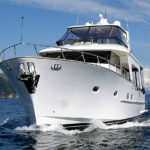 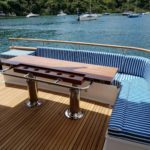 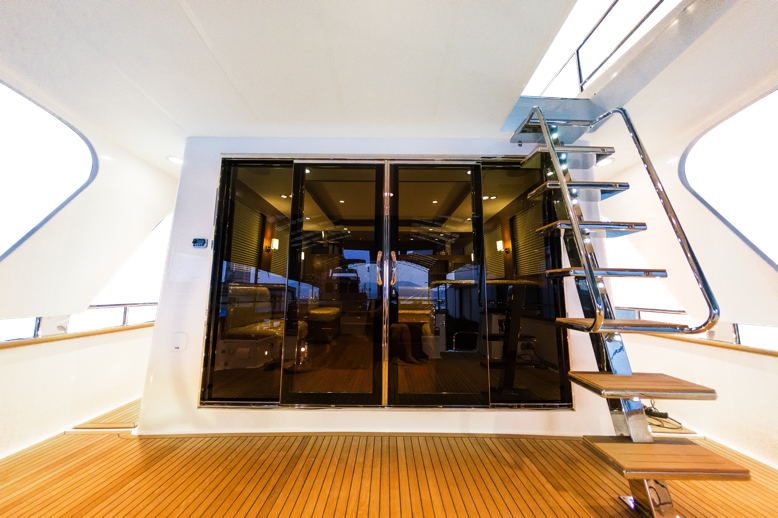 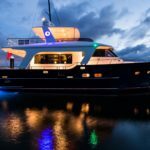 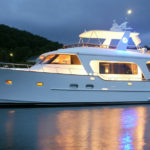 Step on deck and you have options of a large open cockpit for entertaining, comfortable walk-around decks and an enormous flybridge that sets an impressive stage with abundant seating and a large wet-bar with electric grill, sink and refrigeration. 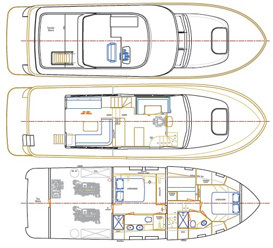 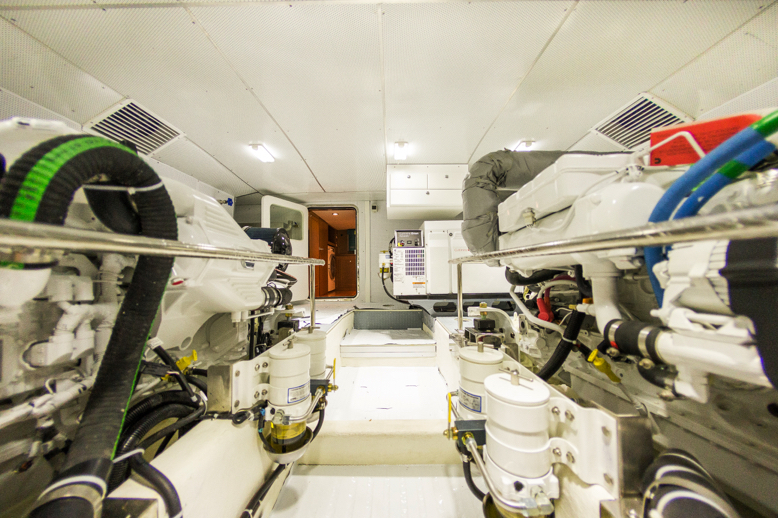 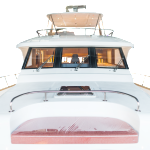 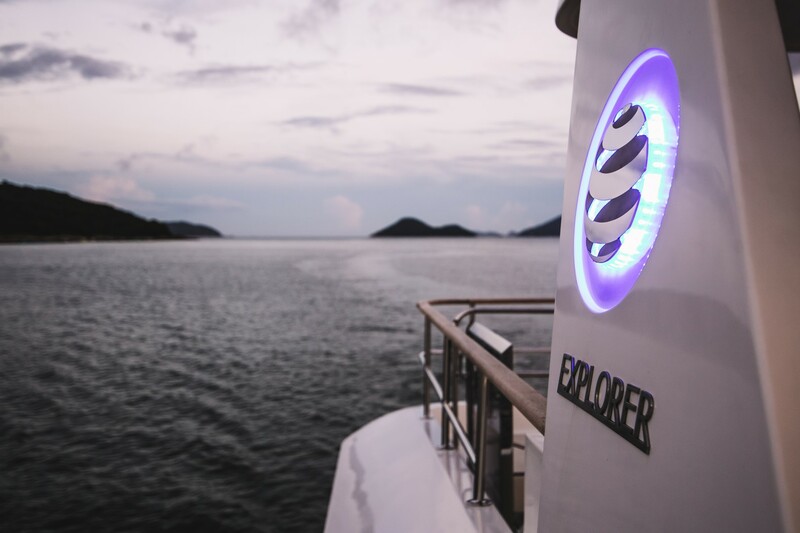 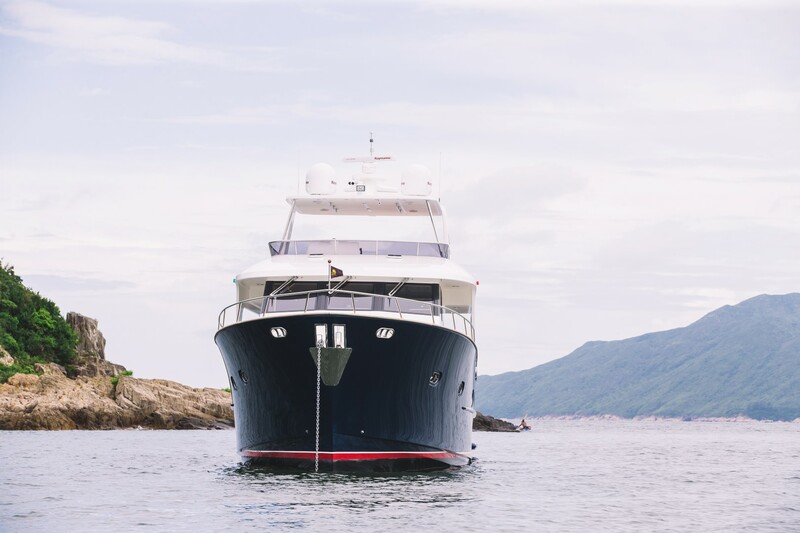 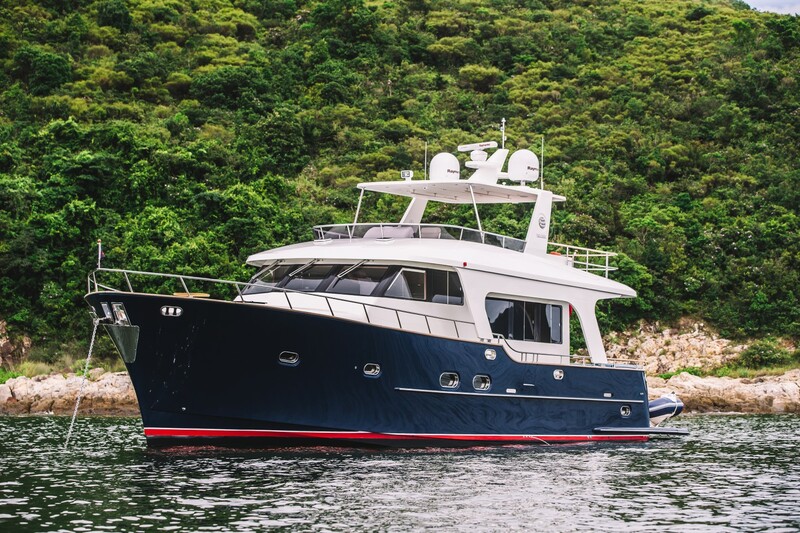 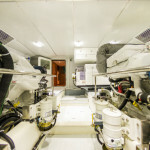 The Explorer 58 Pilot House’s semi-displacement hull design delivers exceptional stability and fuel economy. 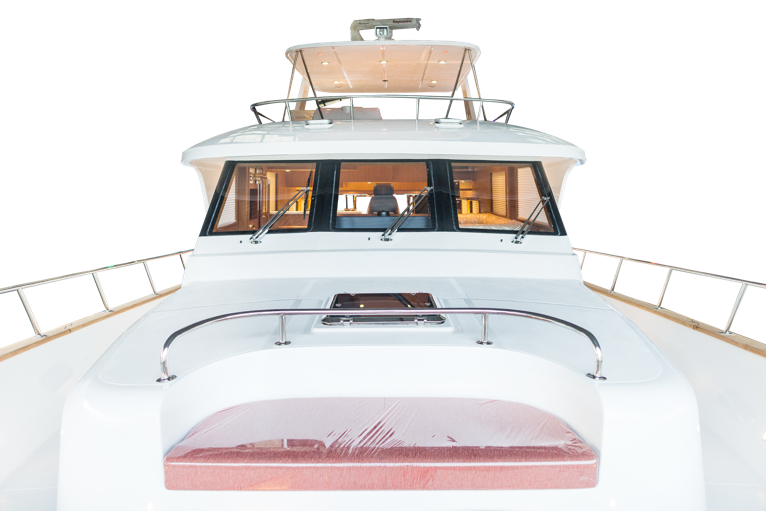 Twin turbo diesel engines offer a turn of speed when needed or superb economy when you simply want to relax and watch the world drift by.